Healthcare costs for a family of four with an employer-sponsored preferred provider plan (PPO) have increased this year by 5.4 percent, resulting in a total cost of $23,215, according to the 2014 Milliman Medical Index. Milliman, Inc., a premier global consulting and actuarial firm, has performed an annual study on healthcare costs since 2002. The study found that the employer still pays the largest portion, at an average of $13,520, but the employee portion is now almost 42 percent of the total equaling $9,695. Of this figure, $5,908 comes from payroll deductions, and $3,787 comes from out-of-pocket costs. "Healthcare costs for this family have more than doubled over the past ten years," said Sue Hart, co-author of the MMI, to InsuranceNews.com. "These costs have increased a total of 107% since 2004." This year's 5.4 percent increase in the lowest since the study began in 2002. Unfortunately, health care costs have been increasing steadily, meaning that they drain a larger portion of workers salaries and company's budgets. The study points out that the average annual cost of coverage is equal to the value of a new car or tuition at a state university. With one in three Americans struggling with medical debt, this cost remains a huge challenge. Milliman identified some factors that could potentially discourage further cost increases. Record high out-of-pocket costs are sparking a push for greater transparency in health care pricing, and there has been a push for the pharmaceutical industry to provide more inexpensive specialty drugs. However, these factors could take years to have any significant effect on the cost of care. 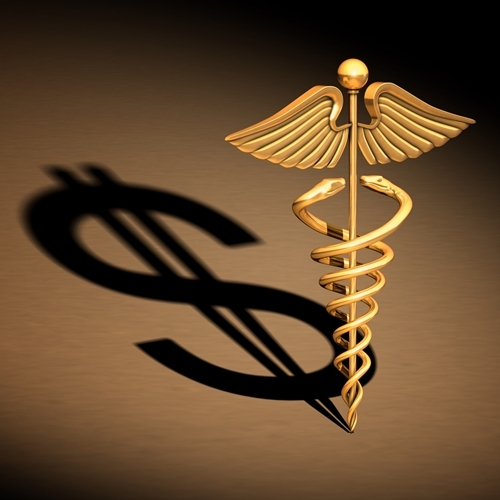 Due to the continued increase in costs, many hospitals are struggling to continue providing quality patient services. If the cost of care has affected the performance of your facility, consider outsourcing medical claims management to offset the number of outstanding accounts. Otherwise, it appears that the cost will steadily increase this year.